WELCOME TO THE HOME OF COUNTIES TENNIS ASSOCIATION INCORPORATED Counties Tennis Association is a sub association of Auckland Tennis. 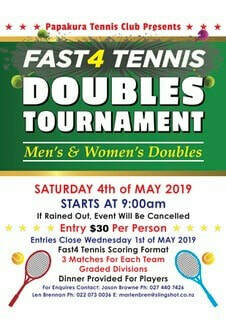 We have teams playing in the Auckland Competition and offer a comprehensive interclub competition on Saturdays for our local clubs, catering for all levels of Tennis. Our objective is to be the body principally in the Franklin District and surrounding area to promote, develop, enhance and protect the sport of Tennis mainly as an amateur sport for the recreation and entertainment of our members and the general public.